"I have long been in receipt of copy of your letter referenced JBJJ/ZYS dated 17 June 2003, expressing the inappropriateness for me (your client) to appear before the Truth and Reconciliation Commission while I remain an indictee before the Special Court. Well, I was arrested, charged and detained on the 10th March 2003, thinking that by now, 25th August 2003, my trial would have started long ago; but I thought wrongly. Since there is no news about the start of the trial and there are signs that the TRC may soon close its sittings, I would prefer to be heard by the people of Sierra Leone and also be recorded for posterity especially where my boss, The President of Sierra Leone, who appointed me and under whom I served as the Deputy Minister of Defence and National Coordinator of the Civil Defence Force (CDF/SL), has already testified before the Commission. As my SOLICITOR, I am applying through you and requesting you as a matter of urgency to please inform the necessary parties of my willingness to appear and testify before the TRC without any further delay." So began the efforts of the TRC to secure the appearance of the Special Court detainees. It was an episode that would draw to an end barely four weeks before the formal closure of the Commission's operations. 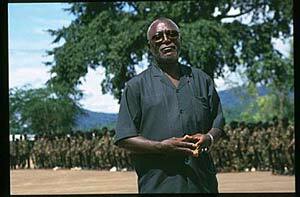 On 28 November 2003 - three months after Hinga Norman's original request for a hearing was made known to the Special Court - the President of the Court, Judge Geoffrey Robertson, ruled that the detainees could not appear before the TRC in any hearing. 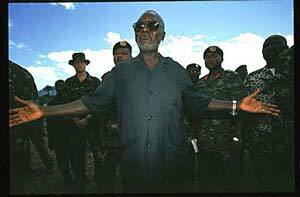 The ruling dealt a serious blow to the cause of truth and reconciliation in Sierra Leone. The TRC found that the decision represented a grave injustice, not only to the detainees themselves but also to the people of Sierra Leone. 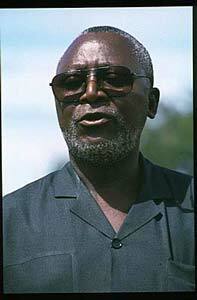 Since Hinga Norman died while still in detention his truth went to the grave with him. The injustice perpetrated by the Special Court became irreparable. Download/view pdf versions of the documents below.